HmmM...great post Jc...i was thinking about trying the brown sugar scrub at some point in the future. The microtear part literally made me cringe, so i'm axing that idea. i don't think bentonite clay is as bad as the brown sugar because if used properly, bentonite clay isn't "scrubbed" on the scalp if you will. i use clay on my scalp and hair, but i don't rub my scalp. i apply the clay like i would a facial. do you think that is too abrasive? I don't really know the answer to that. I hadn't previously thought about the particles in bentonite clay actually scratching the hair. 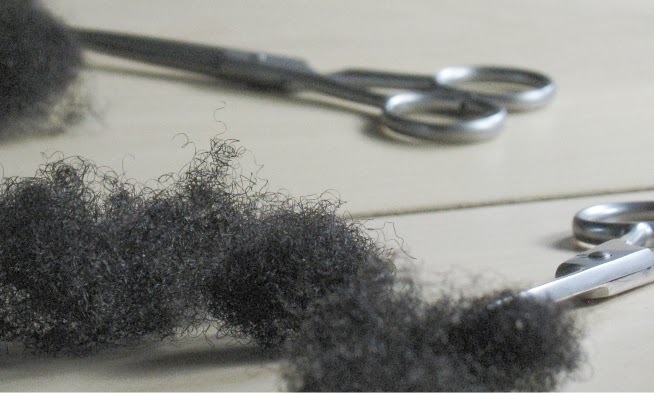 The cuticle of the hair needs to be protected first and foremost. I have never heard of this method before & just the thought of rubbing coarse sugar on my scalp does sound a bit too rough. I have used many body scrubs before and I know how much you have to rub it in before it starts to melt. I don't know about rubbing coarse sugar over and over on my hair and tender scalp. 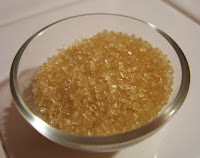 i have used brown sugar as a scrub before. and i assumed it was doing a good job. i have a very dry scalp. i usually mixed the brown sugar with lots of conditioner. does that reduce the abrasiveness? i haven't used it in a while though. However, I don't think it's bad so long as you scrub gently like you would the rest of your body, and remember that the scalp is still skin. I don't agree with using turbinado sugar (that stuff hurt my body), but rather a finer brown sugar. I like using sugar because it disolves in water/shampoo (I saw one recipe that called for quinoa.... I would NEVER be able to get that out of my locs). I think it's a good technique to use every once in awhile, but not on a regular basis. i have just used the brown sugar and conditioner scrub on my curly hair and it feels wonderful. I don't scrub very hard, massage it really well and rinse thoroughly. Then I condition and leave most of it in.. Finish with a homemade gel of Aloe Vera and vegetable oil with one drop of lavender essence, wonderful. My hair has never been in better condition and my scalp is never itchy. I also recommend a drop of tea tree oil if you are having scalp problems, it is very healing. Before I started using a sugar scrub on my scalp my hair was thick. I experienced some excessive hair shedding after using the sugar scrub. Then I started to think that it must have been caused by scrubbing sugar against the cuticles which caused it to break off. After all the sugar is like fine particles of glass cutting at the cuticles. All though it got rid of my dead skin cell and made my scalp feel clean and refresh I truly don't think it's worth me damaging my hair or scalp.